Have you ever struggled to love? It's time for you to do a self examination of how you love. I had presumed that the way I have been wired to love God and others by the Holy Spirit is the same way that other people also love. Should I just accept that other people are not me? Recently, I had a few tests of what it means to love. Sometimes, it meant doing things out of my comfort zone, other times, it required consciously choosing to show love by forgiving, choosing to speak positively and allowing the Word of God to guide me. I sincerely appreciate how God uses different experiences to check if I am walking in His love. Love forgives, love embraces, love covers a multitude of wrongs, love easily overlooks offence. Do you know that love owes no one anything? Love gives, love keeps to promises, love is kind, love is not easily irritable neither is love easily angered. Do you also know that love thinks no evil, it does not envy, neither would love be jealous nor be hateful. Love rejoices in the truth and rejoices with others, love does not grumble, love is kind. Are you aware that love does not seek its own but rather is selfless. Love does not wait for you to show that you care before it cares for you and love does not keep a record of wrongs. 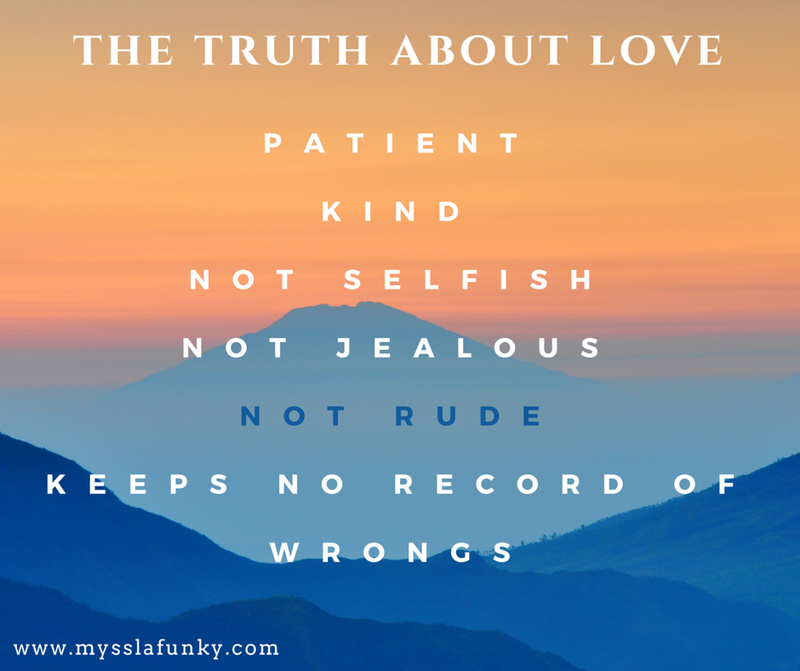 Do you manifest the above attributes of love? 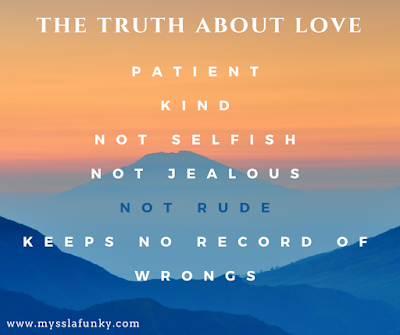 Who do you struggle to manifest the attributes of love to? LET ALL (Everything) that you do be done in love. In other words, God wants EVERY SINGLE THING that we DO and SAY in the OPEN and SECRET be MOTIVED by LOVE. Holy Spirit, help me to actively love you and the people around me. Help me to love those that appear unloveable.